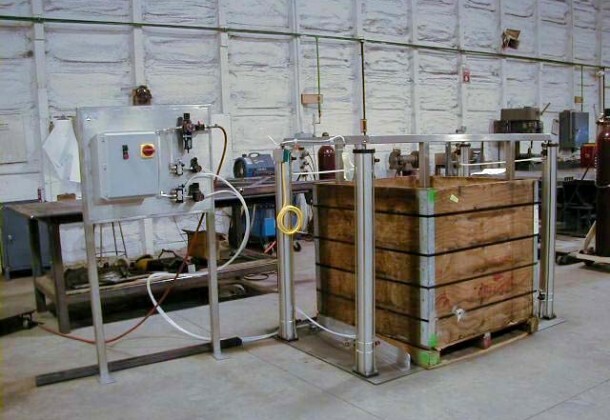 CMI’s tote pump unit is designed to transfer product from a lined packing tote without jeopardizing its consistency. 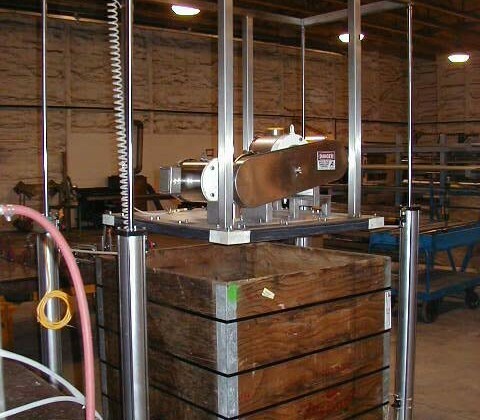 Four pneumatic cylinders lift the unit above the tote for placement. The edge seal inflates and the corners adjust to fit the inside. The positive displacement pump delivers a powerful flow. As it removes the fluid, the liner is wiped clean. An automatic shut-off stops the pump when the tote is empty. 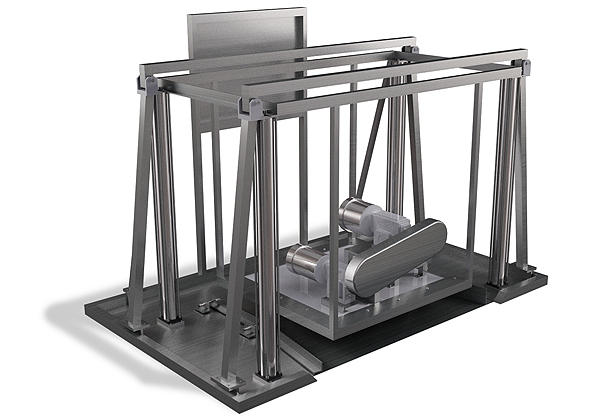 The stainless steel frame and washdown motor make the unit easy to clean, and sturdy crossbars allow for portability. 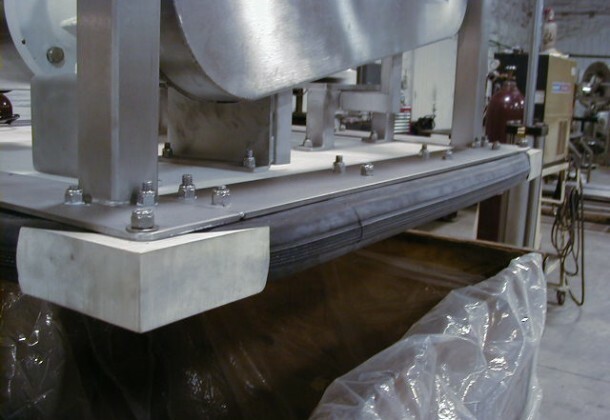 This tote pump can be used by food processors for a variety of viscous liquids and diced products, including fillings and batters, chunky soups, sauces and gravies, cut fruit, tomato paste, chocolate, nougat, and peanut butter. Cosmetics processors and pharmaceuticals will find it ideal for creams and gels, slurries and liquid tablet pastes. It’s a rugged and versatile machine that can help you by create higher product yield and profits.